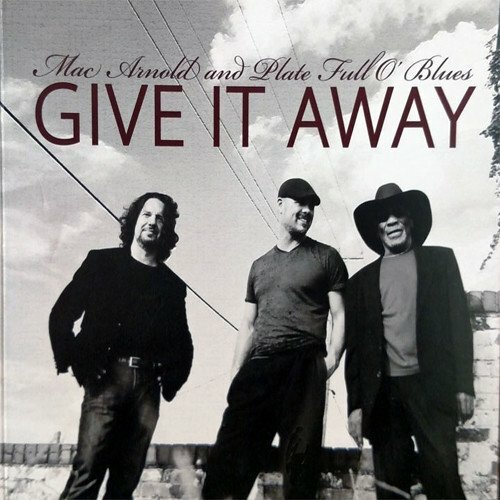 The members of Mac Arnold & Plate Full O' Blues have known each other for two decades. 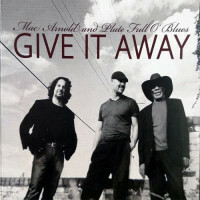 Mac Arnold, Austin Brashier and Max Hightower have played together for more than thirteen years and produced four albums together. Give It Away is their best work to date. This album captures what they are capable of, what inspires them, what they believe in and who they are. Each band member has a say on the album - writing, singing and playing. 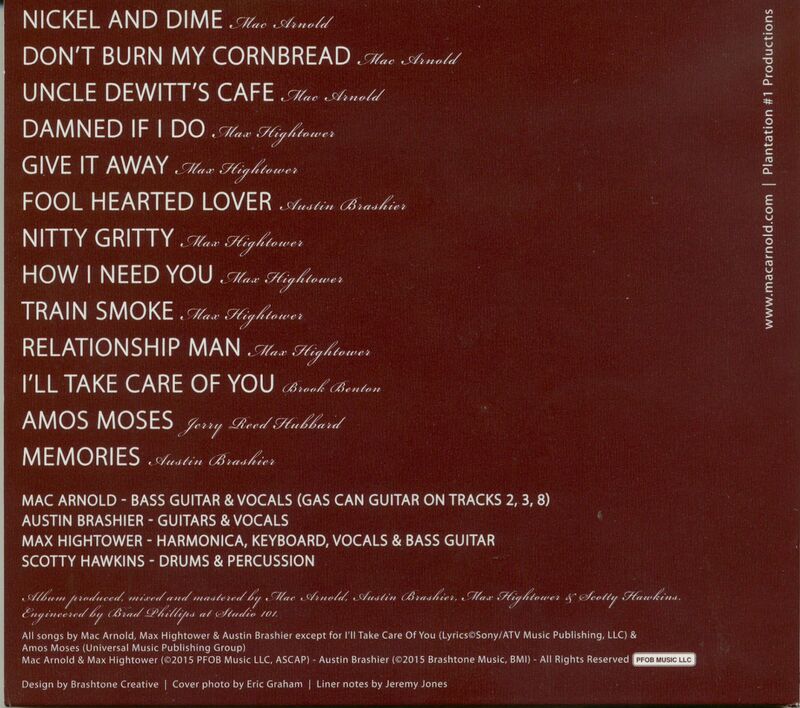 It took all of them to create this album, with the help of Scotty Hawkins on drums. Scotty's raw passion and craftsmanship is felt in every beat of this recording. 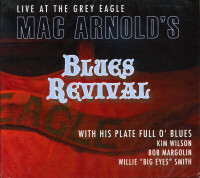 Mac's brother Leroy Arnold's influence is felt throughout this album. Leroy built the original gas can guitar for Mac back in 1946 and he makes a cameo appearance in "Uncle DeWitt's Cafe." Leroy's irrepressible joy and love was an inspiration to everyone lucky enough to have known him. Leroy passed away in 2015 and is greatly missed. Customer evaluation for "Give It Away (CD)"